Treating kids’ cough and cold symptoms: Homeopathic remedies and natural supplements don’t work. 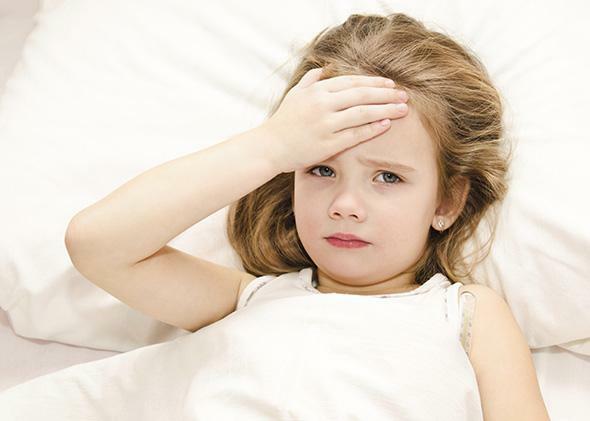 Homeopathic cold and cough “medicines” for children don’t work. So don’t buy them. Running a fever, or attempting to comprehend how gullible her parents are? My kids hit the germ trifecta this season: We’ve battled the flu, strep throat, and respiratory syncytial virus. (Those other 354 colds are barely worth mentioning.) I feel like I’ve spent more hours perusing the children’s aisle at my local drugstore than I have slept this entire winter. I keep going back, hoping to spot a magic-bullet medicine that will make all their snotty, feverish symptoms disappear. But—and you knew there’d be a but—I never actually buy any of these products, because, as I’ve discovered, there’s little reason to believe their claims. After carefully studying the labels and doing some research, I’ve learned that most of the ingredients in these medicines (if you can call them that) have never been shown in clinical tests to improve cold, cough, or flu symptoms in kids, and worse, some contain only a few molecules of the active ingredients they tout. There is one exception—one ingredient that might actually help to relieve your kids’ cough—but you probably already have it in your kitchen cabinet. First things first: Never give children under the age of 4 traditional nasal decongestants, antihistamines, cough suppressants, or expectorants unless you’re told to do so by a doctor. (These include ingredients such as pseudoephedrine, phenylephrine, diphenhydramine, brompheniramine, chlorpheniramine, dextromethorphan, and guaifenesin.) In 2008 the U.S. Food and Drug Administration warned against the use of these drugs in young kids because they can cause serious side effects such as convulsions and are generally not effective. Indeed, a 2014 systematic review of the research found that in kids under 18, cough suppressants, antihistamines, and decongestants work about as well as sugar pills. Drug companies have agreed not to market these traditional cough and cold meds to young kids, so the children’s products you’ll typically see in the drugstore are what are known as either homeopathic remedies or nutritional supplements. The first category includes products sold by Kids Relief and Hyland’s, and they contain ingredients that are thought to improve health according to the several centuries-old ideas of German physician Samuel Hahnemann. He came up with these concepts in the late 1700s after he medicated himself with a malaria treatment known as cinchona bark and discovered that the bark itself also caused malaria symptoms. He surmised that the bark cured malaria because it elicited malaria symptoms, and he went on to generalize that perhaps a good way to treat other illnesses would be to give people small doses of substances that, in larger doses, elicited the same symptoms they were suffering. This idea, which Hahnemann called the “principle of similars” and is today more commonly referred to as “like cures like,” is the first rule of homeopathy. Hahnemann was, in part, looking for safe alternatives to the dangerous medical practices used at the time, such as bloodletting. But knowing what we know now about biology, there’s no scientific reason why substances that cause certain symptoms should also cure those same symptoms. Some traditional medicines do indeed do this—the ADHD drug Ritalin can cause hyperactive behavior but is also a treatment for hyperactivity, and vaccines often contain tiny doses of the infectious agents they are designed to dismantle—but these drugs work by discrete mechanisms, so it doesn’t make sense to form a general rule from them about treating everything. But wait—it gets weirder. The second rule of homeopathy is known as the “law of minimum dose,” and the idea behind it is that the smaller the dose you take of a homeopathic substance, the stronger its effect will be. This idea contradicts established rules of pharmacology, which suggest that, generally speaking, the more you consume of a substance (say, vodka), the more you’ll feel it. In accordance with this second rule, homeopaths prepare remedies by repeatedly diluting (and vigorously shaking) their homeopathic substances to the point where very few, if any, molecules of the substance remain in the dilution. For instance, many of the active ingredients in the Hyland’s and Kids Relief products are diluted to a concentration of 1 molecule of active ingredient per 999,999 molecules of solvent. Including only trace amounts of the active ingredients, the manufacturers say, ensures that the remedies will actually work better. Some homeopathic remedies don’t even contain a single molecule of their active ingredients because they have been diluted so many times, but homeopaths nevertheless “assert that ‘something’ remains: the essence of the substance, its resonance, its energy, its pattern,” as homeopath Dana Ullman explained in his book Discovering Homeopathy. Hmm. So the Kids Relief and Hyland’s cold and flu products are homeopathic because they follow the two rules: First, they contain active ingredients that supposedly cure cold or cough symptoms because they cause cold or cough symptoms; second, their active ingredients are in very, very low concentrations. Hyland’s 4 Kids Cold ’n Cough Nighttime, for instance, contains coffea cruda, a fancy name for coffee extract, because, well, coffee causes insomnia at high doses, so according to the rules of homeopathy, it should treat insomnia at low doses. The syrup also contains allium cepa, otherwise known as onion juice, because—as any home cook knows—onions cause your nose to run, so they should relieve runny noses too. Yet again, in these syrups, there is only one molecule of allium cepa or coffea cruda for every 999,999 molecules of solvent. So even if you’re wary that onion juice will actually ease your cold symptoms, it’s barely there anyway. The problem, in part, is that the U.S. Food and Drug Administration does not regulate the safety or efficacy of homeopathic products at all. This lack of oversight applies to both adults’ and children’s remedies, but since the children’s drugstore shelf is more densely populated with these products, it’s especially important for parents to understand: There’s no umbrella organization out there ensuring that these products are safe or do what they say. And they can be dangerous. In 2010, after receiving numerous customer complaints, the FDA found that Hyland’s Teething Tablets contained inconsistent amounts of its active ingredient, belladonna, which can block nervous system function in high enough doses. A subsequent FDA inspection of the manufacturing facility indicated that there was “substandard control of the manufacturing operation.” (Hyland’s has since reintroduced its teething tablets with a new formulation.) And 56 lots of homeopathic products made by a different company were recalled last year for accidentally containing antibiotics. Let’s move on to the other children’s cold and flu syrups—the ones that are technically nutritional supplements and are sold by companies such as Zarbee’s Naturals. Supplements, which are also subject to very little FDA oversight, contain ingredients that are intended to add nutritional value to the diet; they cannot, however, claim to treat any kind of illness. So it’s not surprising, then, that Zarbee’s Naturals received a warning letter from the FDA last June for touting that its products can treat cough, allergy, and insomnia symptoms. When supplements claim to treat illnesses, they can be considered illegal drugs. Bottom line is this: The homeopathic and natural remedies you find in the drugstore aren’t worth buying. Stick with the tried-and-true home remedies—elevating your child’s head while he sleeps, making sure he drinks lots of fluids, using a humidifier, and sucking out his snot if he’s not old enough to blow his nose. They aren’t cure-alls, but they can certainly help. And go to bed at 9 p.m. because you’ll be hearing from your kids again at midnight. And 2 a.m. And 4 a.m. Until they eventually, God willing, bounce back on their own.